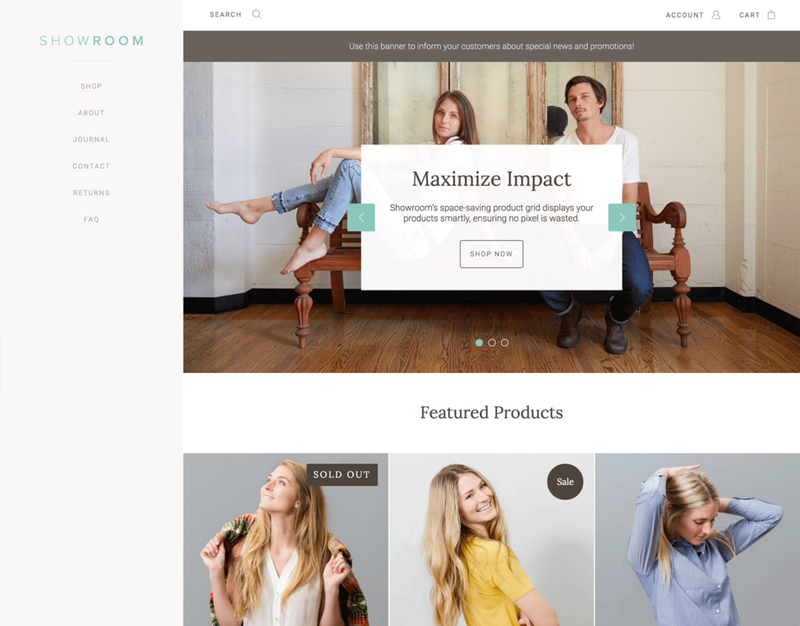 Showroom is a sleek and sophisticated theme designed to keep pace with scaling businesses. Its unique space-saving product grid and customizable sidebar navigation combine to create a theme that's both elegant and powerful. 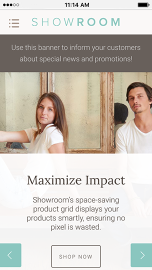 Ideal for any brand, Showroom is easy to set up and infinitely shoppable.